Warning: This smile may just melt your heart ….. There are few greater forces on our planet than the warm soothing tones of music that you love. Music is the both the last miracle and greatest discovery. It’s our final line in the sand. Without music we are disconnected from life with neither the time nor place to provide our aching souls necessary rest. Music provides a sanctuary unlike anything else. Many will walk in and out during your life. Only your parents, children, and if you are blessed, your soulmate, leave footprints on your heart. Adding to that, it’s the music of Elvis Presley also leaves subsequent heartfelt footprints. His legacy left behind teaching that is not sufficient to only see and know the work’s beauty, it must also be felt within the heart. For many simply hearing his voice gives form to our inner feelings. He holds us up through periods of great pain in our lives and will continue to do so without once letting us down. Where his music resonates there is no evil. It can’t exist. 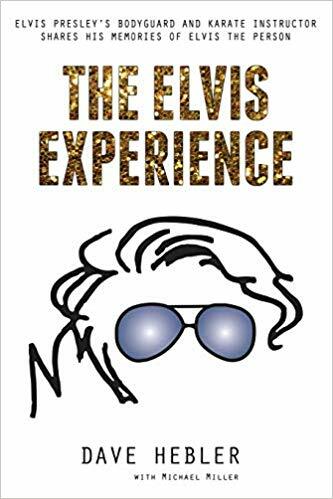 Through his humble greatness and rise to fame, the eternal love of his fans, and a once in a lifetime amalgamation of exceptional circumstances, Elvis evolved into a reflection not only of our young hopes and dreams, but of our struggles and weaknesses. He represented a place and time in popular music that will never be seen again. Ever. The stars only align like that once. Musically and culturally, 1956 was the most important year of the 20th century. Through Elvis, 1956 gave hope and pride to a largely ignored young generation. Suddenly the kids of the world would be forgotten no more. Through the astronomical record sales that he generated, Elvis gave an identity to the teenagers of the world, and a purchasing power that, after 1956, would never again revert to their parents ownership. A new sound and culture arose as massive changes swept over America and ultimately the world. In that one year, Elvis singlehandedly introduced a whole new way of dressing, dancing, singing, and projecting. 1956 saw the beginning of the second and final 20 years of his life. Little did we know then, but his movies and the songs that ultimately flowed from them would provide fertilization to music’s ovum, resulting in the birth of many of his most sought after records and covers. The item before you is the summit of that musical love making. The following is how it came to be. Originally entitled “The Reno Brothers”, the 1956 film “Love Me Tender “ marked the acting debut of a young Elvis Presley. The name of the film was changed to “Love Me Tender” when advance orders of Presley’s hit song exceeded an unheard of one million in sales. The film would turn out to be the only movie that Elvis ever made in which he did not receive top billing, as stars Deborah Paget and Richard Egan were both billed ahead of Elvis in the credits. During an Elvis concert at the Las Vegas Hilton, February 23rd 1972, Richard Egan stood up and began an ovation while Elvis was singing his closing number “Can’t Help Falling in Love“. It had come full circle. The movie’s plot was based on the real life story of the Reno brothers who were the first group of criminal train robbers in the midwest United States during and just after the American Civil War. They became notorious in American history by committing the first train robbery in peace time after the war had ended. The character Elvis played was based on one of those brothers, Clinton Reno. In real life he was named “honest Clint“ and in fact was not charged with any of the crimes his brothers had carried out. But sometimes poetic license is taken in the case of fictitious embellished storylines. Filming began the morning of Wednesday August 23rd with by far the most dramatic sequence of the story, namely the farmhouse homecoming scene. Elvis is dutifully handling the plow on his mother’s farm and he responds to her call as she has just welcomed back the sons she had given up for dead. The intensely puzzled look on his face turns to the unabashed delight of a huge smile as he recognizes the brothers he too thought he had lost in the Civil War. Six months later, on February 20th, 1957 it was that beautiful smile that found itself showcased to the world on the front of a totally unique 10-inch cover from Japan simply entitled “Love Me Tender”. What do you see when you look at this beautiful cover? His first scene on film. That smile. A smile that represents the bright shiny decade of his youth and optimism. A smile that embodies the spirit of youth finally set free. How old were you when Japan released it in ’57? Were you even born? Why should artwork of this quality remain relatively hidden for over 60 years? Surely this smile must be allowed to shine brightly on Elvis fans everywhere. It’s not alone. There are hundreds of Elvis records that few have ever seen and stories never told, innovative artwork that will go on for thousands of years. Only an international exhibition at Graceland will enable Elvis fans to see these creative works of art NOW. The idea of his fans having to wait another 60 years does them no justice at all. They deserve better. Elvis was and always will be our guiding light. Now it’s EPE that must illuminate the way forward for him and his legion of fans …..